Eye360 - Param Jyoti Eye Center Can a Healthy Diet Prevent Cataracts ? Cataract is a leading cause of blindness in the world today. The only treatment for cataracts is surgical replacement of the cloudy lens with an intraocular lens (IOL) through a cataract surgery. While the exact cause of cataracts is unknown, it is believed the clouding of the eye’s lens occurs due to the oxidative stress damage to the enzymes and proteins in the eye’s natural lens. 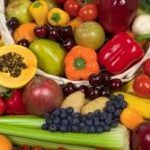 And while there is no definite conclusion from the research, eating a healthy diet rich in antioxidants and certain vitamins has been seen to be associated with prevention or slowing down of the progression of the condition. 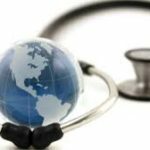 Oxidative stress refers to an imbalance between damaging free radicals in the body and the antioxidants that restrict them. 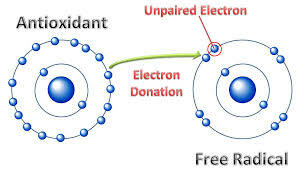 A free radical in the body is usually an oxygen molecule that self-stabilizes by taking an electron from another molecule, which in turn tries to take an electron from another molecule, and so on. This process of stealing electrons from healthy cells is called oxidation. In the eye, oxidation affects proteins and fats in the lens to the extent that the lens becomes damaged and cloudy, creating a cataract. Free radicals may originate from eating unhealthy foods, exposure to pollution or chemicals, smoking and ultraviolet radiation. Preventing free radical damage with healthy foods, particularly those containing antioxidants, may help slow down this process.